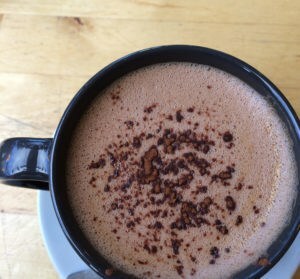 It’s week 6 of the LushPodKAL! Can you believe it? My Lush has been a little bit of slow progress since the rippage of a couple of weeks ago, but I am amid the waist shaping now and I feel like its getting to be a cardigan shaped thing now. Even though I had to rip it back to the yoke I am much happier with the picking up of the stitches – as it was it bit fudged before. I also used Ysolda’s wrapless short rows this time and will definitely be using it again. I really love the colour of the yarn I am using. It is Wensleydale Longwool sheep shop and I will do a little post about them later in the week, but the colour is teal and it can be fantastically blue is some lights and really seagreen in others. I am a bit disconcerted that the central motif isn’t quite central in this pic, but C was at an angle to me and it’s unblocked…I hope it will be central once finished! 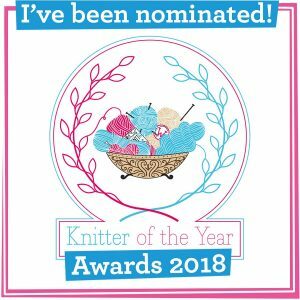 There will be prize news this week, but if have been knitting along you will know that to be in with a chance of winning you need to be at least 75% done by the cast off date on 14th September. After much deliberation we decided that 75% means a full body and one arm, so if you are toiling to get finished for the cast off date remember it that if you are a one arm bandit on 14th Sept you should still post a pic in the FO thread! Someone asked if they could sign up yesterday and you still can! The sign up thread is locked, but just give me a shout on Ravelry. If you are interested in casting on – remember Lush comes in easily-knit-in-two-weeks baby sizes too! 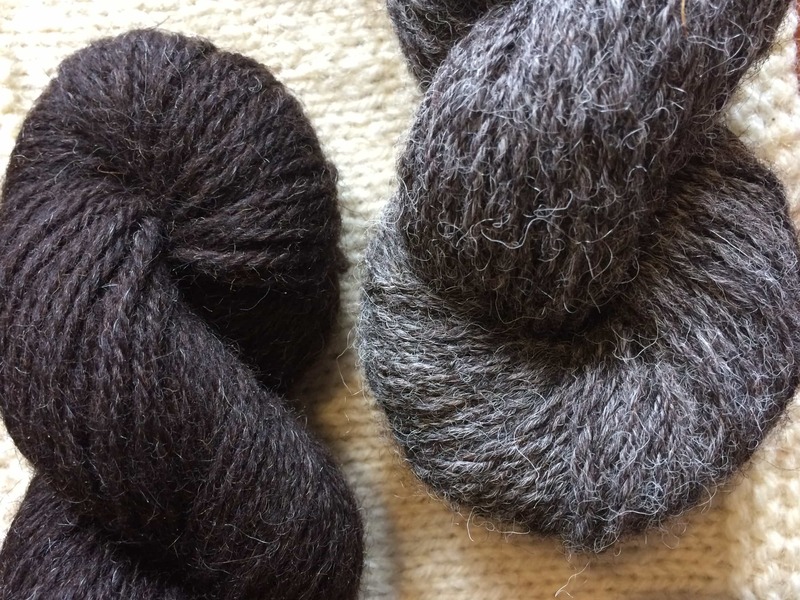 – Blacker Yarns have offered a generous 10% discount, until the cast off date, on their beautiful Blacker Swan Falkland Merino. When you buy 3 balls or more then use the code LUSHKAL5634 to get that lovely discount. 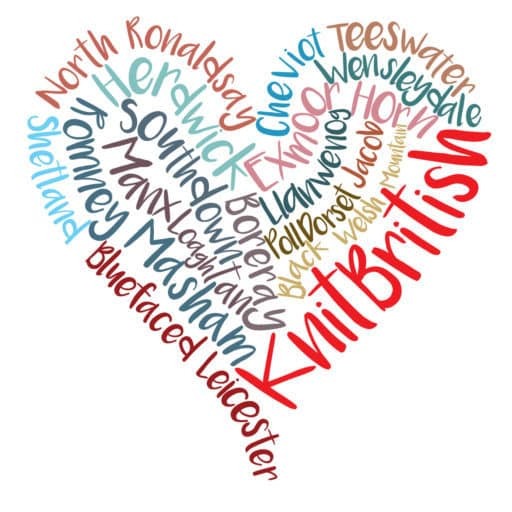 The chat thread is back in Knit British ravelry group this week – say hello and don’t be afraid to ask for help and support. There are a few sign ups that haven’t said hello and, truly, the chat is great and we are all very supportive and cheerleady – maybe see you over there! pompoms are ready! 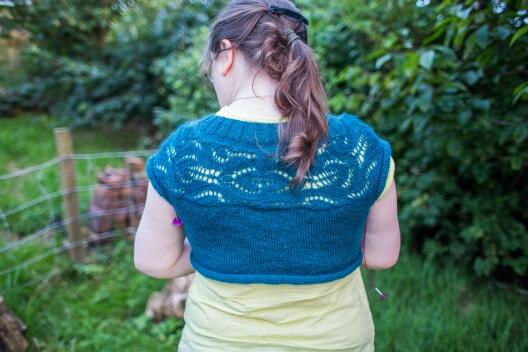 No, seriously, I love this KAL! I have been knitting almost exclusively on my lush and even though it was kind of hard with the few hot days we had, now that rainy weather has set in, it feels like I will have a new winter cardigan before the winter is there! Normally that’s the time I cast on! So, great timing, ladies!